View More In Dolls & Accessories. 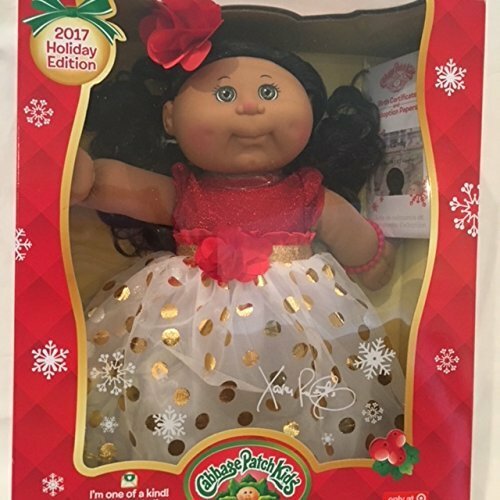 Cabbage patch kids 2017 holiday edition Cabbage Patch doll with dark hair and green eyes. Red bow.